China is popular among the student community due to many reasons. Number of scholarships given to local and international students are relevantly high. Not only for the higher education, but also for the internships China has become a widely popular destination among the students. As a result of this thousands of students and interns enter China. China is a busy country. So you might feel that you will have no life apart from studying and working. But it is not true. China is a country filled with great excitements and if you are a student or an intern who has arrived to China, here is a guide on parks available in Chengdu. If you are tired from studies you can visit these amazing parks and have a wonderful time. 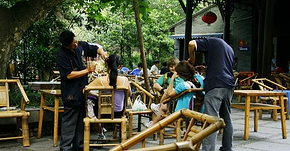 Chengdu has several parks and there are lots of similarities among them. If you go into these parks, you will be able to see people dancing, exercising, practicing Chinese calligraphy and singing. These parks are also equipped with gardens, teahouses, and mini amusement parks and paddle boats. As an intern if you are looking forward to spending a perfect evening after a busy day these parks will offer you a lot to relax and enjoy. If you are staying in China make sure to visit some of these parks. If you do not visit them, your journey will not be perfect. 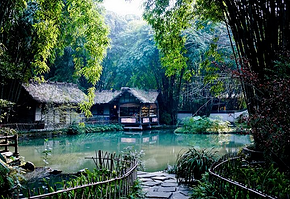 Located in the Qingyang District, People’s Park is considered as the main park of Chengdu by the people of Chengdu. This wondrous park which spread through a vast area is special in many ways. Number of people visiting these parks are extremely high. These numbers make the places even more unique. Despite the day and the time park is filled with thousands of people. 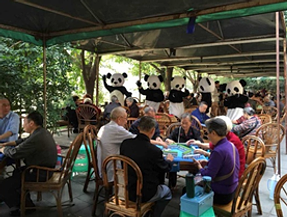 Singing, playing, exercising or chatting people in Chengdu love to spend time in this amazing park. So as a student or an intern who is living close to Qingyang you can make it a habit to visit this gorgeous park and enjoy the beauty. This is another amazing park located in the Qingyang District. Located in the Qinghua Road the park spreads over a considerable area. At first you might feel that the park is quite small. But it is not that small. If you want a landmark to find the park easily, remember the Dufu’s Thatched Cottage and the park is right behind it. If you want a more significant one, Museum at Huanhuaxi is the place. Thousands of different birds visit this amazing park and if you are a bird lover you will get the chance to watch amazing birds at this Park. Apart from that this park is special in terms of culture, history and scenery. You will be amazed by these sceneries and the beauty of nature will take you to a world of fantasies. So make sure to visit this park at least once during your stay in Chengdu as a student. Most parks in Chengdu are next to a river. This is a common feature of these parks and Baihuatan is no exception to this common fact. 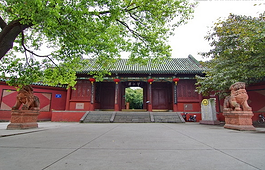 Baihuatan Park is located in the Qintai Road which is considered as an ancient area of Chengdu. If you are fascinated by the Bonsai art, Baihuatan Park will enable you to witness an award winning Bonsai garden. This amazing Bonsai garden makes the park even more unique and interesting to visit. If you are a student who is willing to learn more about the potted landscapes there is no better place than Baihuatan for you to visit. Visit this amazingly beautiful park and add spend your leisure time in a worthwhile manner. Located next to Qingyang Palace this park specializes in displaying Chinese culture. If you are interested to see more of the Chinese culture you can visit this park whenever you have free time. If you are lucky enough you will be able to watch a Sichuan Opera or witness any other ongoing cultural show at this park. If you are busy with work, this park will be the ideal place for you to relax and enjoy some unique cultural events of China after a busy day of work. If you are student who is looking forward to learn more about Chinese culture you will also get a good opportunity here. Festivals such as the flower festival and Lantern Carnival are some of the unique festivals you will get to witness in this amazing park. Art and Photography displays are also frequently seen events in this wonderful park. So if you have time go and spend some time here to enjoy the Chinese culture. This park is also famous as the Wangjiang Pavilion Park. Wide variety of bamboo species make this park a unique place. Park consists of two main parts: Cultural Relic Protection Zone and Normal Section. If you are interested in exploring the depths of the China culture, you can visit the special section. If you are just want to spend some peaceful time and enjoy the calmness after a hard day of work, in the internship or studies, you can go to the normal section. You can of course visit the tower to get an amazing view of the river flowing beside the park. This park consists of a large scenic area that has a major focus on ecology, agriculture, health, business and environmental protection. The park has been designed with the vision of creating a low-carbon sustainable future. If you are a student who is into the subject of sustainability, you can learn a lot from this park. The park is created with the focus of letting the people understand the value of protecting the nature. Also don’t forget that this park is huge compared to the other parks. These parks have become highly popular among the students and interns. If you are working as an intern and want to enjoy some leisure time, you can visit one of these parks in the evening. Same goes true of you are a student. So don’t worry if your next destination is China as an intern or a student.